In the United States, everyone may enjoy freedom of speech so long as it doesn’t matter. For those who would like what they say to matter, freedom of speech is very expensive. It is for this reason that organizations with a strong sense of public mission but not much money are dependent on the “blonde child of capitalism,” private philanthropy. This dependence is true for both conservative and progressive causes, but there is an important difference in the philanthropic cultures that they appeal to. The conservative foundations happily fund “big picture” work. They are eager to be the means for disseminating free market, anti-government ideology. Hence the steady growth and influence of conservative think-tanks like the Heritage Foundation, Accuracy in Media, the American Majority Institute, the Cato Institute, the Brookings Institute, the Manhattan Institute, the Hoover Institute, and on (and frighteningly) on. One of the most maddening experiences for those who seek the support of private philanthropy is the lack of transparency, that is, the difficulty of knowing why the foundation makes the decisions it makes. In fact, most foundations treat this “lack” as a kind of privilege: our reasons are our own. One of the devices employed by philanthropy for maintaining this privilege is what I call the mystique of the foundation’s Secret Wisdom. And on you go one year at a time. But cheer up, you’ve made your budget for the year! More at the link. The article demonstrates why accountability is not just an issue for government. If government is going to subsidize and defer social goals to philanthropy to solve, then it becomes very important how philanthropy works, and who decides which issues matter and are worthy of support and which do not and are not, and what goals those working in philanthropic organizations actually seek to serve. From Matt Taibbi: regular investors got their now customary late-to-the-party treatment from Facebook, and some are suing. But by now we know the game is rigged to favor the big, well-connected investor. ...virtually every week now we see stories like this that hint at a kind of two-tiered market system – in which most of the real action takes place inside an unregulated black-box network of connected insiders who don’t disclose their relationships or their interests, while everyone else, i.e. the regular suckers, live in the more tightly-policed world of prospectuses and quarterly reporting and so on. All of these stories suggest that Wall Street is increasingly turning into a giant favor-and-front-running factory, where the big banks and broker-dealers that channel vast streams of crucial non-public information (about the markets generally and their clients specifically) are also trading for their own accounts, and sharing information with a select group of "preferred investors," who in turn help the TBTF banks move markets in this or that desired direction by jumping on or off various pigpiles at the right times. Sooner or later, people are going to clue into the fact that one or two big banks, acting in concert with a choice assortment of unscrupulous "preferred investors," can at least temporarily prop up or topple just about anything they want, from Greece to Bear Stearns to Lehman Brothers. And if you can move markets and bet on them at the same time, it's impossible to not make tons of money, which incidentally is made at everyone else's expense. This connects the dots between the farcical nature of SEC disclosure and the systemic problem of highly unequal access to the capital markets. Maybe shareholders would benefit from more comprehensive SEC disclosure, but the unequal access problem cannot likely be fixed. Ordinary investors are trapped with no where to invest without behind the scenes rigging ensuring high risk and low probability of returns. Does the ordinary investor go back to storing her bank notes in the mattress? Labels: inequality, institutions, transparency, u.s.
Cuts on data collection and analysis are "penny wise, pound foolish" because "knowledge helps target government spending on those who need it most." Republican congress members, led by Daniel Webster of Florida, seek to cut the census-taking budget since “what really promotes business…is liberty, not demand for information.” Some Republicans suggest the census survey is unconstitutional, a position another Daniel Webster would have probably laughed at. The Economist concludes: "In 2008 Barack Obama quipped that his Republican foes seemed to “take pride in being ignorant”. In this area, congressional Republicans seem to feel that ignorance is bliss." From the NYT, and includes an argument for lower taxes on labor: "The relentless drive for productivity may have some limits; if our economies don't continue to expand, we risk putting people out of work." Adrian McDonald decries the madness of state level film tax incentives, but then calls for a national incentive to compete with the likes of Canada. Wrong answer. More visual comparisons at the link. Jess Zimmerman comments, with several additional links: "Since trees increase property values, this is a classic case of the rich being given whatever they need to get richer. And considering the other things trees do for us, it’s also a case of the rich getting to be smarter, cooler, and have fewer allergies." Parliament has been calling for a financial transaction tax for close to two years and the Commission tabled a legislative proposal for one late in 2011. The latest Eurobarometer survey shows that 66% of Europeans favour such a tax. The resolution also raises the stakes to make evading the FTT potentially far more expensive than paying it. Taking the UK stamp duty approach, the text links payment of the FTT to the acquisition of legal ownership rights. This means that if the buyer of a security did not pay the FTT, he or she would not be legally certain of owning that security. As FTT rates would be low, this risk is expected to far outweigh any potential financial gain from evasion. Like buying a car, you can't get a license plate unless you pay your sales taxes; here, no tax, no title. But compliance is complicated, is it not, by existing rules that allow for confidentiality of ownership and chains of ownership through trusts etc outside the jurisdiction? I'm not sure the stamp duty method can cope with this. Krugman made another attempt to debunk the Laffer myth but it's a meme that won't die. Filip Spagnoli, an artist/philosopher from Brussels, also take a stab at it with a paper entitled There's no There, There: Low Tax Rates and Economic Growth, in which he says "neither the theoretical nor the empirical grounds for [the low tax = high growth theory] are sound. It may even be the case that low tax rates have unwanted harmful consequences instead of the assumed beneficial ones." ...Michael Durst has in effect implied that the OECD’s arm’s-length standard exists precisely because it is unenforceable and that is why business lobbyists, in the United States and other countries, have supported it so energetically. [W]hy should the OECD, a club of 34 rich countries, representing only 18 percent of the number UN member countries, and with a declining share of world trade and investment, be the arbiter, the rule maker, of such a “consistent global transfer pricing system?” Why should the OECD try to impose its transfer pricing rules on major developing countries such as Brazil, China and India, and other developing countries? [T]he arm’s-length system promoted by the OECD, after years of tinkering and major reforms has worked poorly or not at all for both developed and developing countries. The great sign of the general failure of the arm’s-length system is that it has permitted multinational enterprises to divert uncounted billions of dollars annually to tax havens. If the goal is simply to eliminate double taxation, then the OECD can claim success. That goal, however, is rather unambitious. A far more worthy goal would be to make multinational enterprises report something close to the income they actually earn in each country in which they operate. The OECD’s arm’s-length approach does not come close to achieving that goal...In contrast, a combined reporting system with formulary apportionment is designed speciﬁcally to achieve that goal. ...The arm’s-length method simply is not working, and 50 years of tinkering and major revisions have revealed that it cannot be made to work. ... Combined reporting remains the best hope of the world for moving past the failed system based on the arm’s-length principle to a system that actually apportions income exclusively to the countries where meaningful economic activity occurs. It should be an interesting conference. "The level of economic and policy debate has long been poor in the UK. There is very little awareness of the oodles of academic research on how high marginal tax rates or punitive income or capital taxes reduce growth and jobs." Aside from using the term "oodles" in a purportedly serious study, that's an aggressive opener that lets us see the framing that will go to work in this report. The author complains that "In the very rare instances when they are mentioned, respectable and important studies are dismissed out of hand or not properly understood; the only “moral” arguments ever referred to are those that advocate the state seizing ever greater proportions of individuals’ incomes." This leaves us in no doubt of the direction and makes the easy dismissal of research by people like Piketty & Saez even more bothersome. The activities of International Non-Governmental Organizations give rise to multifaceted questions of legality and legitimacy. The normative position of INGOs within the 'international community' has proved to be acutely controversial, demanding a fundamental reconsideration of the concepts of the nation-state and of international organizations of all kinds. There is manifestly a crying need for a comprehensive framework against which the capacity of international law to comprehend these complex issues can be measured. This book explores contemporary approaches towards INGOs, those based on criticism of the doctrine of international legal personality as well as those adopting a functional-constitutional perspective. It engages in a stimulating and thorough interdisciplinary evaluation of the theoretical and practical potential of these theories to generate solutions for the problems produced by the exercise of unregulated authority outside the state-system. 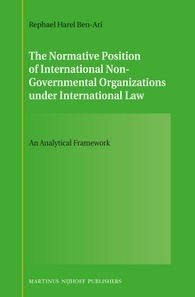 The book investigates the main concepts put forward by international lawyers within 'postmodern' discourse, among them 'global civil society', 'globalization' and 'governance', and examines their consistency with existing institutional arrangements, and the century-old attempts to standardize the status of INGOs. This is of interest to those studying the international tax institutions and thinking about whether there ought to be more participation from NGOs in drawing up international tax norms. Groups like Action Aid and Global Witness are beginning to emerge in international tax discussions along side the more established quasi-governmental OECD and the business NGOs like the OECD's BIAC, the Intl Fiscal Association and the Int'l Chamber of Commerce. The exercise of authority outside of the familiar state-based "hard law" structure presents normative challenges we haven't developed sufficiently in tax. Finance has become America’s dominant industry, while manufacturing, even for high technology industries, has nearly disappeared. The financial sector has become increasingly criminalized, with the widespread fraud that caused the housing bubble going completely unpunished. Federal tax collections as a share of GDP are at their lowest level in sixty years, with the wealthy and highly profitable corporations enjoying the greatest tax reductions. Most shockingly, the United States, so long the beacon of opportunity for the ambitious poor, has become one of the world’s most unequal and unfair societies. If you haven't seen Inside Job, you should; you can watch it on Netflix. It features a number of uncomfortable interviews with people who ought to have known better. "Because today’s threats do not recognise national boundaries, our responses must also transcend borders,” Ms Napolitano told her hosts in a speech overly dominated by assurances the US would respect the privacy of Australian citizens. This is 100% wrong. The dirty secret of American politics is that, for most politicians, getting elected is just not that important. What matters is post-election employment. It’s all about staying in the elite political class, which means being respected in a dense network of corporate-funded think tanks, high-powered law firms, banks, defense contractors, prestigious universities, and corporations. If you run a campaign based on populist themes, that’s a threat to your post-election employment prospects. ... Running as a vague populist is manageable, as long as you’re lying to voters. If you actually go after powerful interests while in office, then you better win, because if you don’t, you’ll have basically nowhere to go. And if you lose, but you were a team player, then you’ll have plenty of money and opportunity. The most lucrative scenario is to win and be a team player, which is what Bill and Hillary Clinton did. The Clinton’s are the best at the political game – it’s not a coincidence that deregulation accelerated in the late 1990s, as Clinton and his whole team began thinking about their post-Presidential prospects. ...Speaking fee money isn’t just money, it is easy money. In one appearance, for one hour, Clinton can make $125,000 to $500,000. At an hourly rate, that’s between $250 million to $1 billion annually. It isn’t the case that Clinton is a billionaire, but it is the case that Clinton can, whenever he wants, make money as quickly and as easily as a billionaire. He is awash in cash, and cash is useful. Cash finances his lifestyle. Cash helped backstop his wife’s Presidential campaign when it was on the ropes. In a study completed [in 2011], Mr. Ziobrowski at Georgia State and his colleagues found that House members saw the stocks they owned outperform the market by 6 percent a year. Their research from several years ago found that senators did even better, at 12 percent above average. The researchers attributed the performance to a “significant information advantage” that lawmakers hold by virtue of their positions and the fact that they are not bound by insider-trading law. No insider trading restrictions, no really effective means to stop lobbyists from enriching politicians, either celebrity status or a lobbying position guaranteed on exit. This is a lot to worry about. The NYT asks, is insider trading part of the fabric of Wall Street? and answers yes, probably, with Lehman as a case study; while the Economist runs a story on the demise of the public corporation [gated] and with it, the diminishing opportunities for the middle class to participate in the capital markets. This presents a tough juxtaposition. We want people to have access to markets, but it's very difficult to overcome the information asymmetry that makes investing so risky for the less sophisticated/less connected (read: less rich) investors. [E]vidence [points] to frequent insider trading involving analyst research at Lehman, but the S.E.C. ultimately did not bring a case. [A Lehman whistleblower] spent two and a half years giving information to the S.E.C. He produced materials indicating that Lehman sales representatives were tipped off to upcoming research changes; data showing suspicious trades in dozens of stocks; organizational charts and floor plans showing that some Lehman executives who were part of the research department were located near sales and trading desks. These departments are supposed to be separated. With that ammunition, the S.E.C. opened an investigation, case HO-10864. Officials told him that his evidence was credible. Then the case died. And after Lehman’s collapse its employees have scattered across Wall Street. The flow of information between a firm’s analysts, its traders and its clients — a lucrative heads-up on stock upgrades and downgrades, for instance — can bolster trading profits, brokerage commissions and, ultimately, Wall Street paydays. Those in the know can get rich before the rest of us know what happened. The public company was invented in the mid-19th century to provide the giants of the industrial age with capital. That Facebook is joining Microsoft and Google on the stockmarket suggests that public listings are performing the same miracle for the internet age. Not every 19th-century invention has weathered so well. The burden of regulation has grown heavier for public companies since the collapse of Enron in 2001. Corporate chiefs complain that the combination of fussy regulators and demanding money managers makes it impossible to focus on long-term growth. Shareholders are also angry. Their interests seldom seem to be properly aligned at public companies with those of the managers, who often waste squillions on empire-building and sumptuous perks. Shareholders are typically too dispersed to monitor the men on the spot. ...alternative corporate forms have addressed some of the structural weaknesses that once held them back. Access to capital? Private-equity firms, helped by tax breaks, and venture capitalists both have cash to spare, and there are private markets such as SecondMarket (where $1 billion-worth of shares has changed hands since 2008). Limited liability? Partners need no longer be fully liable, and firms can have as many partners as they want. Professional managers? Family firms employ them by the HBS-load and state-owned ones are no longer just sinecures for the well-connected. Does all this matter? The increase in the number of corporate forms is a good thing: a varied ecosystem is more robust. But there are reasons to worry about the decline of an organisation that has spread prosperity for 150 years. ...public companies give ordinary people a chance to invest directly in capitalism’s most important wealth-creating machines. The 20th century saw shareholding broadened, as state firms were privatised and mutual funds proliferated. But today popular capitalism is in retreat. Fewer IPOs mean fewer chances for ordinary people to put their money into a future Google. The rise of private equity and the spread of private markets are returning power to a club of privileged investors. Because public companies sell shares to the unsophisticated, policymakers are right to regulate them more tightly than other forms of corporate organisation. But not so tightly that entrepreneurs start to dread the prospect of a public listing. I'd say there is precious little middle ground to work with here. Infrastructure: The Social Value of Shared Resources : analyzes how society benefits from infrastructure Larry Solum recommends it. Concurring Opinons had an online symposium on it a couple of weeks ago. Value at risk: Enron pre-bankruptcy: $59 million; JP Morgan: $67million, now revised to $129 million. Bloomberg has the story. Bullet proof car kits a hit in Brazil. The social cost of inequality seems demonstrably high when elites feel the need to assemble mobile security bubbles around themselves. The concept of privacy is one that is instantly recognizable and yet theoretically, much less legally, hard to define. ... [T]here are at least two competing approaches with respect to privacy. One approach takes a cost-benefit approach. It judges disclosure requirements based on their quantifiable costs and benefits, including among those costs the harm to privacy, however measured. The other, less frequently used approach is a right-to-privacy approach that considers privacy a fundamental right that can only be abridged if there is a relatively strong interest for doing so and then only to the extent required to further that interest. Mayer examines how existing "rules are sometimes but not always based both on the cost-benefit approach to disclosure, in which privacy harms are but one possible cost, and on the right-to-privacy approach." He considers recent proposals for disclosure rules relating to nonprofit organizations engaged in political activity, and argues that disclosure of financial information of the organizations themselves can survive either approach, but for individuals disclosure is more difficult to justify under right-to-privacy norms. Mayer is specifically focused on nonprofit organizations, for which there might (or might not) be a better argument for public scrutiny than that for strictly for-profit companies. But for those of us thinking about tax transparency in the international context, such as through country-by-country reporting for example, this paper is of interest. Once a program is approved — Taiwan's was OK'd in 2006 — members of Congress can take a qualifying trip paid by that government. But Owens' trip was not paid under MECEA, which strictly applies to programs funded by foreign governments. Instead, a private entity — the Chinese Culture University — was brought in to pay for it. Spouses and other family members are not allowed to go on MECEA trips, and Owens' wife was to accompany him, emails show. ...Why was the school paying for the trip? In a filing with the House Ethics Committee, the school explained: "The Chinese Culture University aims to promote international cultural exchanges in order for it to thrive in a world increasingly engineered by an irresistible thrust towards globalization." ...The congressman doesn't appear to have voted on any Taiwan issues since he returned in January. In July, just before the trip planning got under way, Park Strategies' King asked Boughtin to have the congressman sign a letter supporting [an] F-16 sale to Taiwan. Boughtin emailed him back: "[W]e're on board. All set!" Owens' spokesman said the Taiwan letter and the trip were unrelated. Nearly 200 other lawmakers also signed the letter. To an economist, long queues for goods and services are wasteful and inefficient, a sign that the price system has failed to align supply and demand. Letting people pay for faster service at airports and amusement parks improves economic efficiency by letting people put a price on their time. In airports, amusement parks and hospital waiting rooms, the ethic of the queue – "first come, first served" – is being displaced by the ethic of the market – "you get what you pay for". Why worry that we are moving towards a society in which everything is up for sale? For two reasons: one is about inequality; the other is about corruption. In a society where everything is for sale, life is harder for those of modest means. The more money can buy, the more affluence (or the lack of it) matters. But also, putting a price on the good things in life can corrupt them. Paying children to read books might get them to read more, but it might also teach them to regard reading as a chore rather than a source of intrinsic satisfaction. Sometimes, market values crowd out nonmarket values worth caring about. Those values include civic responsibility, a sense of being part of a polity, cultural cohesion, etc. I'm sure we have all experienced the psychic value of being the one who gets to jump the line at least once in a while but perhaps more often the psychic cost of watching others do so. We analyze the effect of rising Chinese import competition between 1990 and 2007 on local U.S. labor markets, exploiting cross-market variation in import exposure stemming from initial differences in industry specialization while instrumenting for imports using changes in Chinese imports by industry to other high-income countries. Rising exposure increases unemployment, lowers labor force participation, and reduces wages in local labor markets. Conservatively, it explains one-quarter of the contemporaneous aggregate decline in U.S. manufacturing employment. Transfer benefits payments for unemployment, disability, retirement, and healthcare also rise sharply in exposed labor markets. funded transfer programs, such as Social Security Disability Insurance (SSDI), implicitly insure U.S.
workers against trade-related employment shocks." Geldof, U Pay Tax 2? Geldof, who was in the Ethiopian capital Addis Ababa for the World Economic Forum, was interviewed by Times journalist Lucy Bannerman. Their encounter appeared to go very well at first, with Geldof talking about the huge changes that have taken place in Africa since Live Aid in 1985. Then Bannerman asked him about his tax status. After confirming that he is a non-dom and can legally avoid income and capital gains tax on international earnings, Geldof laughed off the Sunday Times Rich List estimate of his worth (£32 million). When pressed on how much tax he actually paid – the justification for the question being because his big idea, aid, can come from taxes – Geldof exploded. "I pay all my taxes," he shouted. "My time? Is that not a tax? I employ 500 people. I have created business for the UK government. I have given my ideas. I have given half my life to this." In a bizarre, heated exchange Geldof jabbed his finger repeatedly at Bannerman and demanded to know how many irrigation ditches she had built with her salary. The tirade ended with Geldof yelling: "How dare you lecture me about morals", before being led away by his entourage. Actually Bob, lots of us would like to lecture you on your tax morals if you don't pay in full what somebody else living in the UK might owe. I stress we don't know whether you do or not, but you had the option of saying you do and got angry instead, which makes me think you've got something to get angry about. And candidly, in that case Lucy Bannerman was absolutely right to question you as she did. Paying tax in the right place at the right time is a principle inextricably linked to solving the problems of poverty in Africa – and elsewhere. You can build as many ditches as you like. But candidly if you set an example by tax avoiding then you undo all your good works. Labels: disclosure, offshore, transparency, u.s. The lawyers for Goldman and Bank of America/Merrill Lynch have been involved in a legal battle for some time – primarily with the retail giant Overstock.com, but also with Rolling Stone, the Economist, Bloomberg, and the New York Times. The banks have been fighting us to keep sealed certain documents that surfaced in the discovery process of an ultimately unsuccessful lawsuit filed by Overstock against the banks. Last week, in response to an Overstock.com motion to unseal certain documents, the banks’ lawyers, apparently accidentally, filed an unredacted version of Overstock’s motion as an exhibit in their declaration of opposition to that motion. In doing so, they inadvertently entered into the public record a sort of greatest-hits selection of the very material they’ve been fighting for years to keep sealed. ..the document is full of other interesting disclosures. Among the more compelling is the specter of executives from numerous companies admitting openly to engaging in naked short selling, a practice that, again, was often dismissed as mythical or unimportant. In other words, 107% of all Overstock shares available for trade were short – a physical impossibility, unless someone was somehow creating artificial supply in the stock. Goldman clearly knew there was a discrepancy between what it was telling regulators, and what it was actually doing. “We have to be careful not to link locates to fails [because] we have told the regulators we can’t,” one executive is quoted as saying, in the document. One of the companies Goldman used to facilitate these trades was called SBA Trading, whose chief, Scott Arenstein, was fined $3.6 million in 2007 by the former American Stock Exchange for naked short selling. The process of how banks circumvented federal clearing regulations is highly technical and incredibly difficult to follow. These companies were using obscure loopholes in regulations that allowed them to short companies by trading in shadows, or echoes, of real shares in their stock. They manipulated rules to avoid having to disclose these “failed” trades to regulators. Rolling Stone has a link to the motion, here. As the Economist, Bloomberg, and the New York Times were all interested in seeing these documents, we can expect a lot more analysis. How much do you pay in total taxes? The American Institute of CPAs launched the Total Tax Insights calculator, which lets you estimate the amount Americans pay each year for the most common federal, state and local taxes. This shows that federal income tax is only one component--although a large one--of total taxes paid by individuals, giving lie to the idea that people who don't pay federal income tax somehow have no skin in the game. It would be even more fun if you could do a cross-country comparison. Despite lingering ambiguity surrounding the concept, global civil society is acclaimed by those who think they belong to it, and validated by international governmental organizations seeking legitimation for their activities. Its enthusiasts believe global civil society presages a more congenial kind of politics that transcends the system of sovereign states. Its critics deride its unrepresentativeness and complicity in established power relations. The critics can be answered by more subtle accounts of representation and by highlighting contestatory practices. Appreciation of the promise and perils of global civil society requires moving beyond preconceptions rooted in dated ideas about civil society and democracy as they allegedly function within states. Irrespective of the sophistication of such post-Westphalian moves, global civil society remains contested terrain, involving interconnected political and intellectual disputes. International relations theory proves less useful than it should be in clarifying what is at stake. Democratic theory can be brought to bear, and this encounter sheds new light on what democracy itself can entail. This is important in the context of thinking about occupy wall street, the uncut movement, and global tax activism more generally, against the broader backdrop of how individuals and institutions work to gain influence over tax policy nationally and internationally. 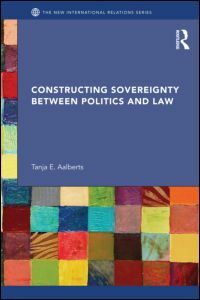 This book explores the interplay between sovereignty, politics and law through different conceptualizations of sovereignty. Despite developments such as European integration, globalization, and state failure, sovereignty proves to be a resilient institution in contemporary international politics. This book investigates both the continuity and change of sovereignty through an examination of the different ways it is understood; sovereignty as an institution, as identity; as a (language) game; and as subjectivity. In this illuminating book, Aalberts examines sovereign statehood as a political-legal concept, an institutional product of modern international society, and seeks an interdisciplinary approach that combines international relations and international law. This book traces the consequences of this origin for the conceptualization of sovereign statehood in modern academic discourse, drawing on key jurisprudence and international treaties, and provides a new framework to consider the international significance of sovereignty. As an innovative approach to a critical institution, Constructing Sovereignty between Politics and Law will be of interest to students and scholars of international relations, international relations theory and international law. Also to students and scholars of international tax law, I think. Conventional wisdom holds that protectionism is counter-cyclic; tariffs, quotas and the like grow during recessions. While that may have been a valid description of the data before the Second World War, it is now inaccurate. In the post-war era, protectionism has not actually moved counter-cyclically. Tariffs and non-tariff barriers simply do not rise systematically during cyclic downturns. I document this new stylized fact with a panel of data covering over 60 countries and 30 years, using eighteen measures of protectionism and seven of business cycles. I also provide some hints as to why protectionism is no longer counter-cyclic. One of the most striking features of Figure 3 is at its extreme right; the “Great Recession” of 2009 was a collapse of global growth without any corresponding uptick in trade disputes. This is a striking observation; the most serious recession in generations does not seem to have resulted in more protectionism, despite an unprecedented collapse in international trade. The behavior of protectionism around the Great Recession is worthy of further investigation. ... Perhaps, just perhaps, the switch in the cyclicality of protectionism – if there has indeed been one – is a triumph of modern economics. After all, there is considerable and strong consensus among economists that protectionism is generally bad for welfare. And there is no doubt that economists are aware and actively involved in combating counter‐cyclic protectionism; this was especially visible during the Great Recession, which saw the successful launch of Global Trade Alert in June 2009. If – and it’s a big if – the efforts of the economic profession are part of the reason that protectionism is no longer counter‐cyclic, then the profession deserves a collective pat on the back. But in that case the profession should also consider setting its sights higher. If economists have helped reduce the cyclicality of protectionism, then perhaps they should focus on simply reducing protectionism." "The Government's lead economic and financial policy agency advised that plans to pay international banks to move here represent "a wealth transfer from New Zealand taxpayers to overseas financial institutions." ...plans were drawn up for Key to discuss the proposal with senior international bankers when he visited New York in September 2009. That was the trip when the prime minister made headlines with a turn on The Late Show with David Letterman, but Treasury documents show during this visit he was briefed for proposed meetings with the chief executives of Goldman Sachs and Citibank where the hub was to be discussed. In December 2010 Key said that a major international bank offered to shift business to New Zealand if tax policy changes were forthcoming. The prime minister told the New Zealand Herald the CEO of a global bank had said if NZ zero-rated foreign funds that are not invested in New Zealand, he would move $2.5b in funds here as NZ would be 50 per cent cheaper than Australia. Stobo's group's blueprint for the hub, tabled in Cabinet, said these deals should be contractually locked in to prevent a change of government torpedoing the deals, and the details of payments should be made "commercial in confidence" and not be available for public scrutiny. Stobo told the Sunday Star-Times such payments were common elsewhere in the world, but conceded the contractual and "commercial in confidence" nature of the proposals were a novelty for New Zealand. "That's an issue for public finances and whether the Government's got the appetite for that. [Offering subsidies] is not unfamiliar at all, just the way we're describing it may be relatively new for the public," he said. Whether a government has "an appetite for that"--for what? For hiding from and maybe defrauding its own public? Incidentally it seems the plan was expected to create a dozen or so jobs, but a report said it would cost $10 million a year in lost revenue. I suspect they mean lost revenue to New Zealand. It could be a lot more than that internationally. You ask why, if there’s an important role for a regulated banking system, do you allow a non-regulated banking system to continue? It’s in the interests of some of the moneyed interests to allow this to occur. It’s not an accident; it could have been shut down at any time. If you said the U.S., the UK, the major G-7 banks will not deal with offshore bank centers that don’t comply with G-7 bank regulations, these banks could not exist. They only exist because they can engage in transactions with standard banks. It's a political malfunction, not an economic inevitability. It's therefore a feature, not a bug. "new U.S. regulations — and much tougher enforcement — are catching some Americans in legal nets designed to snare terrorists, money-launderers or wealthy tax-evaders. Many Americans overseas — not just the rich — have had to pay thousands of dollars in fees for tax accountants or Internal Revenue Service fines. ...A growing number of Americans living abroad are renouncing once-valued U.S. passports. Some 1,780 people gave up U.S. nationality last year, eight times the 2008 level and the largest number in more than a decade." Labels: evasion, FATCA, sovereignty, tax policy, u.s.
A lot of people have sent me the story on Eduardo Saverin, who renounced his U.S. citizenship ahead of the Facebook IPO, ostensibly for purposes of reducing his tax burden, though the effect is not so clear. Saverin is a real cosmopolitan--born in Brazil, now apparently a resident of Singapore. Severing his ties to the U.S. is serious. Maybe he was worried about FATCA. In any event, I didn't know who Saverin was before and I don't really know all the ins and outs of why he's breaking up with the U.S., but I guess there's a good song for it anyway. OECD will establish an independent foundation, to be up and running by the end of 2013, that will provide international auditing expertise and advice to help developing countries better address tax base erosion, including tax evasion and avoidance. The initiative was championed by Oupa Magashula, Commissioner General of the South Africa Revenue Service, Nhlanhla Nene, South Africa’s Deputy Finance Minister and Pascal Saint-Amans, Director the OECD’s Centre for Tax Policy and Administration. It will be interesting to see the composition of this foundation. Alex Mills, Normative Individualism and Jurisdiction in Public and Private International Law: Toward a 'Cosmopolitan Sovereignty'? This paper examines one aspect of the role of the individual in international law, through analysis of the increasing recognition of individual rights in the context of jurisdiction in both public and private international law. Jurisdiction has traditionally been considered in international law as a right or power of states. The challenge to this traditional approach has arisen both at the international level and also within states, through the rise in theory and practice of doctrines of 'denial of justice', 'access to justice' and 'party autonomy', which reflect the increasing treatment of jurisdiction as a matter of individual right rather than state power. These developments arguably signify a transformation in the status of individuals at both international and national levels, from the passive objects of jurisdictional regulation to active rights-holders. The analysis in this paper therefore highlights a challenge which cuts across the dual aspects of sovereignty – as international law increasingly recognises the power of legal persons beyond the state, this also provides a challenge to the claims for exclusive legal authority within states. This can also be described as the recognition of the individual, alongside the state, as a 'sovereign' actor, or as the recognition of 'normative individualism' in international and domestic law. The increased recognition of the individual in international law is a key feature of the arguments of cosmopolitan legal theorists – the challenge of normative individualism may therefore further be described as the question of whether, or to what extent, there is an emerging idea of 'cosmopolitan sovereignty' which attempts to accommodate the normative value of both state and individual actors. For over a decade, CNN (Cable News Network) has been providing transcripts of shows, events and newscasts from its broadcasts. The archive has been maintained and the text transcripts have been dependably available at transcripts.cnn.com. This is a just-in-case grab of the years of transcripts for later study and historical research. The UK Parliament is gathering information on country by country reporting in the context of a series of hearings on the issue of taxation in developing countries. The next hearing is scheduled for May 15, when the UK tax authority will give testimony. At the April 24 meeting the committee heard from Tim Scott, head of tax at Glencore, Emmanuel Mutati, chairman of Mopani Copper Mines, Graham Mackay, SABMiller CEO, and Chris Lenon, who introduced himself as speaking on behalf of OECD's BIAC but is also head of tax at Rio Tinto. You can read the entire transcript online here, and it's really very long. All the now familiar refrains are here: companies comply with all applicable laws, what developing countries need is capacity building [yet according to Chris Lenon as to transfer pricing enforcement, "I think that most tax authorities, including the Zambian ones, are perfectly capable of looking at a transaction"], countries should focus on information exchange, CBCR disclosure won't be helpful because tax law is too complex, CBCR disclosure is costly to produce, companies care more about certainty than rate of tax. We obviously do not pay more tax than we have to under law ... We pay what is the right amount of tax ... according to the spirit of the law, and not necessarily the letter that we have managed to find a way around. And reports like this from ActionAid. I am not sure what Mr. Scott means by "spirit of the law." But I don't think the press coverage on Glencore suggests that's what they're doing. Q106 Mr McCann: Can I just ask a followup question to that, Mr Lenon? Do you believe that companies are taking advantage of the lack of capacity [of developing country tax administrations]? Christopher Lenon: Having dealt with tax in developing countries since the late 1980s, I think there is a misunderstanding. I would rather deal with a wellresourced, wellfunctioning tax administration than one that is completely arbitrary-and I have dealt with both. The trouble with arbitrary ones is that they can make mistakes both in your favour and significantly against you. I would think that most business would see capacity building as the important area that we should focus on. Q107 Mr McCann: ...I am not asking the question of whether you would want to deal with someone who is unprofessional or who is professional. I am asking: is there capacity up to a certain point, and are companies enjoying an additional benefit because that is not moved to an optimum level? Christopher Lenon: I think we should aspire to capacity building where tax authorities in the developing countries are of the same standard and quality as they are in OECD countries. Mr. Lenon was not asked what "we should aspire to." I think we was asked, do you take advantage of a tax administration if you can? That question was decidedly not answered. Unfortunately the discussion shifted when another MP jumped in so Lenon's nonresponsive answer was not challenged. $2.7 trillion in 1997, and $2.7 trillion in 2011, just as if nobody did anything at all. The Guardian. "For a generation, the profession’s message on capital taxes has been simple: the lower the better. Most economists would prefer no tax on capital income at all. This seeming fanaticism is rooted in sensible models, developed in the 1970s and 1980s and built on a pleasing simplicity. Taxation inevitably involves trade-offs. Governments tax in order to fund public goods and limit inequality, but taxes are no free lunch. People and businesses respond—a tax on carrots, say, reduces carrot consumption—and these responses distort the economy and may reduce its potential growth rate." "Fretting over high capital-tax rates still makes sense, not least because capital is highly mobile. If countries differ in their approach, firms may simply invest more in those with more congenial rates. But from a global perspective, as inequality rises, having taxes on capital income will look increasingly attractive—and, by some reckonings, more sensible than previously thought." I think the jury is out with respect to whether firms respond to capital taxes as stated. It is certainly a surprise to see the Economist give any ground on this subject, even f it does preface with "by some reckonings." Thanks David N for drawing my attention to this. "The tension created by the Vodafone situation has distressed foreign investors as uncertainty mounts concerning the Indian business landscape. The proposed GAAR has sparked fears that tax officials will have too much power to scrutinize any transaction for signs of tax evasion and will be able to sidestep tax treaties with other nations. In a gesture that appeared to assuage investor anxiety somewhat, Mukherjee announced on May 7 that the government had amended some of the Finance Bill's proposals, including delaying the GAAR's implementation date for one year and offering taxpayers the opportunity to approach India's Advance Ruling Authority to determine whether a planned transaction would be permissible." "The dispute arises from the retrospective tax legislation proposed by the Indian government which, if enacted, would have serious consequences for a wide range of Indian and international businesses, as well as direct and negative consequences for Vodafone. The proposed legislation would also countermand the verdict of the Indian Supreme Court in January 2012, which ruled that Vodafone had no liability to account for withholding tax on its acquisition of indirect interests in Hutchison Essar Limited in 2007. Vodafone believes that the retrospective tax proposals amount to a denial of justice and a breach of the Indian government’s obligations under the BIT to accord fair and equitable treatment to investors." I find it odd that Vodafone could draw India into a dispute resolution with the Netherlands in respect of a law that is not yet passed, but apparently once invoked, the BIT automatically provides for dispute resolution. If the BIT can ultimately prevent the legislature from enacting the new law, that will be big news. Porisky received 18 months in jail for the income tax and GST evasion and another three years for the fraudulent counselling of the students, to be served consecutively. The accused, who must also pay a $274,000 fine, had little reaction as he sat in the prisoner’s dock. Gould received a six month conditional sentence and a fine of $27,000. “I have no job,” she told the judge. “How am I going to pay the fine?” The judge told her that she had a year to pay off the fine. “If you can’t do it, you’ll have to come before me to explain why you can’t and tell me what efforts you’ve made to do it . . . You should make what efforts to pay what you can.” The couple kissed one another before Porisky was taken into custody by sheriffs. We write to thank you for raising concerns in your recent meeting with Finance Minister Mukherjee regarding the proposed Indian tax legislation and to request further engagement in this matter. Unfortunately, pronouncements by Indian officials since that meeting have not allayed the concerns of U.S. and other foreign investors. To effectively address these issues, the proposed legislation needs to be amended. The proposed legislation will not be applied with retroactive effect, even for the suggested 6-year period. The proposed legislation will not be applied to reverse favorable results already obtained by a taxpayer in a final decision of any Indian court, or in any case assessed and finalized prior to April 1, 2012. The proposed legislation will not be applied in a manner inconsistent with India's obligations under its tax treaties. Labels: India, lobbying, sovereignty, tax culture, u.s.
"maybe the only piece of IR theory that I've read that really seems to get the dynamic element of international law. It also centers international law to what I suspect is an unprecedented extent, as both a "resource" for and a constraint on state actors. "[S]tates are limited in their agency by the legal resources that they find around them. Their strategic behaviour around diplomacy and international law is therefore tightly structured by the legal environment. This is not a domain of free choice." [t]he social nature of diplomacy ensures that these changes are never fully under the control of any single actor, and that the strategic direction of diplomatic activism is always uncertain. The meaning of precedents depends on how states and others choose to use them. As a social practice, diplomacy has these three formal qualities: sociality, statecentrism, and a productive effect. It is a law and society approach to the question of international law, saying the positive question (do states comply) is the wrong one; rather we need to "look at how the actors use the rules, and how the rules shape the actors and their possibilities." Spiro likes the article but dislikes that it brackets non-state actors, who "are obvious players on the international stage." He gives a few examples: "the Kimberley Process and the Equator Principles, in which NGOs and corporations are the key actors ...[when] Greenpeace goes after the Forest Stewardship Council about logging in the Congo or Human Rights Watch presses the International Olympic Committee on Saudi discrimination against women." For international tax the list would include the well established influence of OECD's Business & Industry Advisory Council (BIAC) and the International Chamber of Commerce on the development of international tax norms, and perhaps the relative newcomers Action Aid and Christian Aid, with respect to the emerging issue of country-by-country reporting. Free market economic “literature” ...gave succor and intellectual respectability to the decades of deregulation and tax cuts that have bankrupted the country. Congress is compromised, to be sure, but lobbyists and members need economic studies as cover for what they are doing. No, we don’t have to lower the U.S. corporate income tax rate just because the Europeans did, or because tax havens are allowed to leech off market countries without fear of being booted out of the bank clearing system. Economists won’t reveal which right-wing foundations fund their dubious tax and public policy research. The American Economic Association voted not to require economists to disclose the sources of their funding. "One-dimensional incidence analysis -- distributing the corporate tax burden over a representative cross-section of the population -- can be relatively uninformative about who bears the corporate tax burden, because it misses the element timing. For example, for a tax that is shifted over time from shareholders to all owners of capital... the part not shifted will fall entirely on initial shareholders, while the part that is shifted will fall on future capital owners. Collapsing the burdens on shareholders and capital owners into a single cross section completely misses this important distinction. I don't pretend to be an expert on incidence but we often see it used as a tool to rhetorically eliminate the corporation as an appropriate subject for taxation, so these kinds of assumptions seem key to the analysis. The international tax system is in the midst of a novel contest between information reporting and anonymous withholding models for ensuring that states have the ability to tax offshore accounts. ... Four incongruent initiatives of the European Union, the OECD, Switzerland, and the United States together represent an emerging international regime in which financial institutions act to facilitate countries’ ability to tax their residents’ offshore accounts. The growing consensus that financial institutions should act as “tax intermediaries” cross-border represents a remarkable shift in international norms that has yet to be recognized in the literature. As a growing consensus, I'd say it's about as contested an issue as you can imagine, and for good reason as the commenters to this blog attest. It is a remarkable shift, all right. In the last few years, the global landscape has changed radically. Interest in automatic information exchange grew in parallel to the mounting universal acceptance of information exchange upon request as a global norm. Since 2007, three models have emerged: the OECD’s authorized intermediary project, the EU’s Directive on Administrative Cooperation in the Field of Taxation and proposed revision of the EUSD, and the United States’ FATCA legislation. ... A fourth model, the Swiss anonymous withholding model, presents an even sharper contrast. Instead of offering an information reporting solution, this approach emphasizes anonymity in combination with a withholding regime for collecting revenue from non-resident account holders. However, focusing on the inconsistencies and conflicts between the emerging systems obscures their commonality, which is far more important than their differences. All four models share a key feature ... each requires domestic financial institutions to routinely provide cross-border administrative assistance to a sovereign outside the country in which the financial institution is located, and thereby serve as cross-border tax intermediaries. This alone is a critically important achievement. ...In some sense this is a reclamation of sovereign authority over cross-border asset management, and in another sense it is an acknowledgement that multinational financial institutions are a necessary part of the mechanics of tax collection in a globalized economy. Grinberg includes a discussion about how compliance with FATCA may require financial institutions to violate laws in their home countries, citing remarks by Acting Assistant Secretary Emily McMahon that acknowledge the difficulty and suggest the US is working hard to make this a bilateral or multilateral matter rather than a unilateral one. This makes me think that FATCA could be to information sharing what 30% flat rate withholding on passive income is to tax treaties: a blunt force object meant to induce other countries to try to negotiate a better deal. If that's so, then it may be only a matter of time until Canada, the main victim of FATCA, gets a favorable resolution. But the arm-twisting effect seems to make FATCA even more pernicious from a sovereignty/democracy/diplomacy point of view. This student note asks whether, if courts draw on OECD guidance to interpret actual tax treaties, they should consult the latest guidance regardless of the date the treaty was signed. He concludes they should. I'm not convinced. Some of my reluctance to be convinced draws from my hesitancy about the use of the OECD commentaries as guidance at all; the rest because I cannot see how the parties to a treaty could possibly prospectively bind themselves to some future interpretation, but especially one that is not made by either of the treaty signatories in respect of the actual treaty they signed. The former point is a threshhold issue--since I worry about the incremental ossification of OECD commentary via uncritical acquiescence to its murky status as law, I wish that the topic would be discussed at length in any writing about tax treaty interpretation, and I feel uneasy when this difficult question is sidestepped in pursuit of the finer point about which of such guidance should be used when. It really is a tough threshhold, and perhaps for good reason the student chose to step past it in order to get to his main question of whether a static or ambulatory approach is appropriate. In 1994, Hugh Ault wrote a brief comment trying to reconcile the use of OECD commentaries with the Vienna Convention; he rejected the ambulatory approach on grounds that later OECD commentary could completely reverse prior understandings of the meaning of the model convention, so could not reflect the parties intentions as the Vienna convention would require. This 2008 brief from one treaty signatory in a tax treaty dispute cites Hugh Ault's argument to completely reject the ambulatory approach; similarly this article [pdf] by Esperanza Buitrago Díaz discusses a series of cases that reject the approach with respect to Spain's treaties with the Netherlands and Costa Rica. It seems to me NatWest got it right, and the ambulatory approach is really hard to defend. But I applaud the student for giving it a go--not an easy topic of law for a first stab at scholarship. Tax transparency, democracy and "expertise"